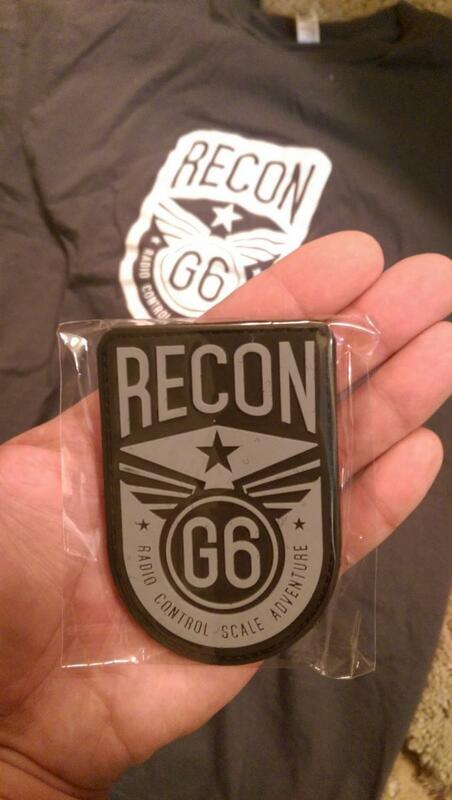 RECON G6 has patches for sale on their website, $6.99 shipped in the USA. If you are out of country, please select correct shipping option for your country. If you are in Europe and will be attending the Austrian or Italian G6 events that are coming in the next couple weeks, Parker will have some on hand that you can buy at the event. Ask Parker or Daniel for them. Patches come with hook and loop (aka Velcro) backing. Last edited by Skeeno; 08-28-2015 at 01:56 PM. PS if you are in the Reno/Sparks area, pm me and I can deliver them to you personally. Saw Parker post them up on FB and ordered two of them. Those got mailed yesterday. Keep an eye in your mailbox next week. Unfortunately the link to the Recon g6 store doesn't work. Anyone has a link to where I can get these patches? Last edited by Nijal; 09-04-2016 at 11:57 PM.